La Chumbera is a Spanish restaurant in Granada located up in the mountains to the East of the city. The cuisine at La Chumbera is based on local recipes from Granada as well as some Andalusian dishes inspired by the restaurant owners' family heritage. La Chumbera is situated in the Sierra Nevada close to the mountain range's famous caves and overlooking the valley which contains the city of Granada. From the restaurant you can see the magnificent La Alhambra as well as the Cathedral of Granada. The surrounding mountainside is also extremely beautiful and provides the perfect setting for this Spanish restaurant. The interior of the restaurant is made up of several caves which have been made into rooms which seat a varying number of people (from 20 people in the smallest cave to 54 in the biggest). These rooms are truly fantastic as they are roughly shaped in an arch shape but are extremely natural. The walls and ceilings are decorated with traditional copper pots and other artefacts. Being caves, there are no windows in these rooms therefore the walls have been white washed to keep them as bright as possible and so you always have a beautiful, lamp-lit dinner. 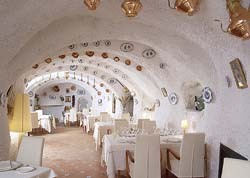 The larger of the caves is also slightly curved making it an extremely unique room to dine in. Outside there are two large terraces, one covered and one open-air which together can seat up to 600 people. These terraces provide the best views of the city of Granada and its landmarks - its almost like looking at a picture of the city in a Granada city guide! Due to the sheer size of the restaurant and its facilities, La Chumbera specialises in weddings and other large celebrations. Aside from the restaurant, La Chumbera also has its own auditorium and amphitheatre in the adjacent buildings. The auditorium often used for conferences and meetings by business here in Spain - that is if the audience doesn't get distracted by the view which is visible through the large windows. Meanwhile the amphitheatre is more commonly used for music concerts and festivals. 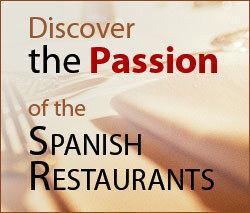 The restaurant itself also holds many musical and dance events, including the ever popular Flamenco. La Chumbera was set up in 1993 by Virginio Sánchez Marcos and Isabel Molina Guadix who, together with their families' help, made a success out of the Spanish restaurant in Granada. This was partly due to their vast experience in the hospitality sector; Virginio began to work in the industry in the 1970s in a bar in the basement of a building in the centre of Granada. Nowadays, the running of the restaurant has fallen to the children of the two founders and it has become part of a group of restaurants in Granada. The cuisine at La Chumbera in Granada is overall Mediterranean, drawing on a number of different influences from different countries including Spain, Italy and Arabic countries. 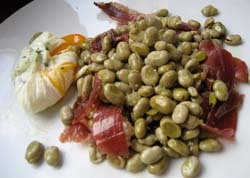 The Spanish food is based on a mix between typical dishes from Granada, as well as Andalusian dishes too. The influence of the Moors and Arabic cuisine can also be spotted at this restaurant as well. To ensure the authenticity of its dishes, La Chumbera uses the best products both from within Spain and abroad. Despite the cuisine being based on traditional recipes, the owners still like to surprise their customers with their own twists or with creative presentation. For example, if you order the gazpacho, it will be served to you in a martini style glass with slices of avocado and smoked fish to decorate. Also unlike many fine dining restaurants, La Chumbera likes to make sure that you have enough on your plate - so don't worry about going hungry! As with most Spanish restaurants in Spain, La Chumbera has an excellent wine list which includes a large variety of wines from Spain. You don't have to study Spanish or even be a connoisseur of Spanish wine to order them, as the owner is always happy to make recommendations about the wines, and she can speak English if you get stuck!